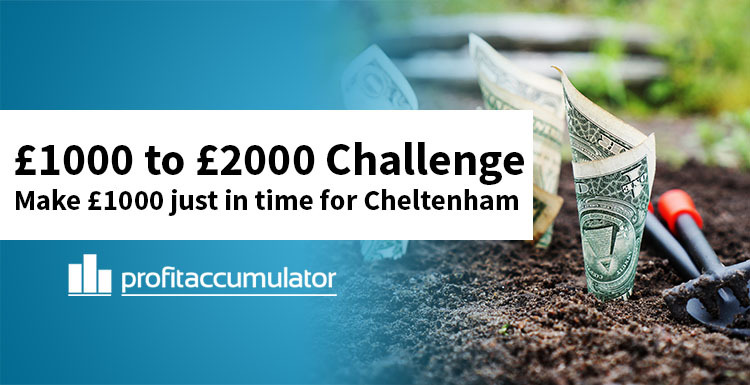 One of our in-house matched betting experts, Mark, has come up with a great idea - a challenge that will see you turn £1000 into £2000, just in time for Cheltenham. This will leave you with a great bank for the Cheltenham festival and, in turn, lots of profit too! I thought it would be a good idea to give you an insight to the offers I do and how I approach them by putting it all in to a daily log and making a challenge of it. My typical matched betting approach is to hit the most lucrative offers with high stakes thus giving greater reward. For this challenge I am going to limit this approach by setting aside a £1,000 float to use. Most members should be able to play along too as £1,000 can normally be achieved from the sign up offers, or for those that have a larger bank roll can also put aside a £1,000 float to play along, if they wish. Start with £1,000 float and increase it to £2,000 BEFORE the start of Cheltenham festival. 1 hour per weekday matched betting, 2 for Saturdays and Sundays. No VIP or invite only offers (unless most people have the offer), only offers posted on PA. If you want to play along then follow his in-depth thread by clicking here. It's only available to Platinum Members so you will need to be signed up and logged in to follow along. Mark will be posting his updates every morning on the thread, so it will be very easy to keep up to date with. Sign Up And Give It A Go? 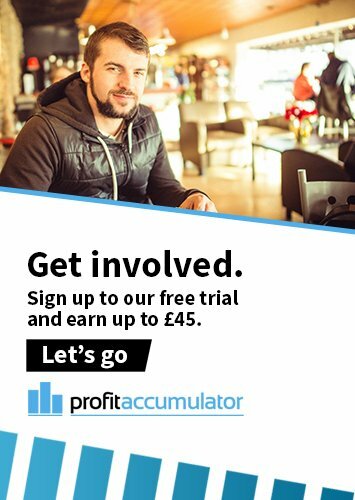 If you aren't a member of Profit Accumulator yet, but like the idea of turning £1000 into £2000, then you can sign up here and start following along too.